New research suggests that a potentially fatal snake fungus found in several species in the United States and three in Europe could be global in scale. 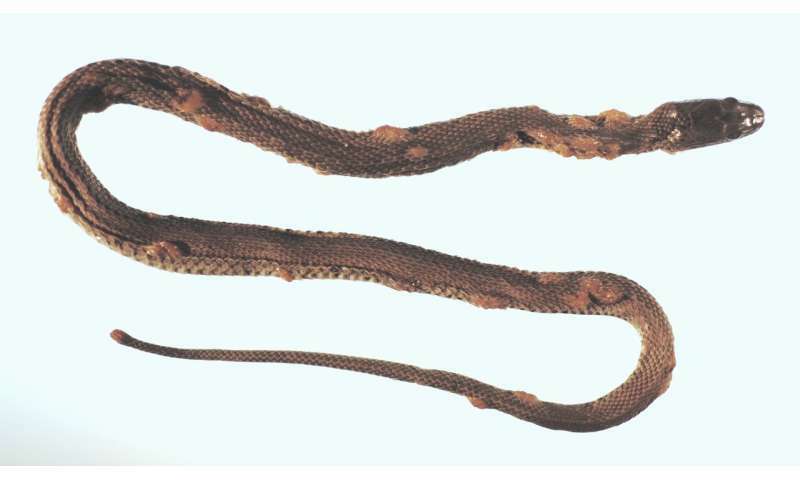 The study, published today in the journal Science Advances, shows that the snake fungal disease caused by Ophidiomyces ophidiodiicola can infect snakes of many species regardless of their ancestry, physical characteristics, or habitats. The study's authors, including researchers from the American Museum of Natural History, the U.S. Geological Survey, and the University of Maryland, College Park, warn that future surveys for the disease should assume that all snake species harbor this pathogen. "This really is the worst-case scenario," said Frank Burbrink, an associate curator in the Museum's Department of Herpetology and the lead author of the publication. "Our study suggests that first responders shouldn't just be looking for certain types of snakes that have this disease, but at the whole community. All snakes could become infected, or already are infected." The emerging snake fungal disease has been documented in 23 wild species in the United States, predominantly in rat snakes, milk snakes, gartersnakes, and viperids in the eastern part of the country. Recently, it was also detected in three species commonly found in Europe. The disease primarily affects snakes' skin, forming lesions that spread quickly and can cover a large part of the body. Although molting can resolve most cases, snakes can die from the infection. In addition, behavioral changes that snakes undergo while battling the disease—for example, spending more time basking as their skin molts—put them at increased risk of death by predation, environmental exposure, or starvation. "Some of the most devastating wildlife diseases ever documented, such as white-nose syndrome in bats and chytridiomycosis in amphibians, are caused by fungal pathogens," said Jeffrey Lorch, a microbiologist with the U.S. Geological Survey (USGS) National Wildlife Health Center. "These diseases have had such great impacts because they affect multiple species, and it now looks like the same is true of snake fungal disease." Predicting the disease's potential impact is difficult because snakes can be hard to locate for study in the wild. 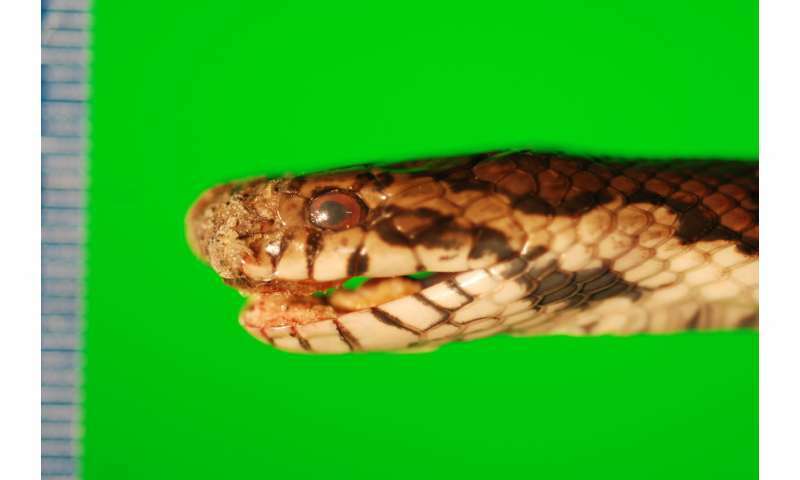 Researchers built a model based on the evolutionary history, ecology, and physical traits of known infected species and analyzed it using a neural network to look for associations that could be used to predict which species of snakes might be susceptible to the disease. Results showed that hosts for snake fungal disease were randomly dispersed among the data. Based on their findings, the authors suggest that all 98 groups of snakes in the eastern United States could be susceptible, and that the epidemic might extend globally. "The data for our model may not be perfect, but it will tell you if there's even a weak association between a characteristic—for example, eating a certain type of animal or living in a particular environment—and the potential to get this disease," Burbrink said. "And in this study, our model found no association other than 'you are a snake.'" "Scientists have learned a lot about research and monitoring needs from 25 years of studying the effects of chytrid fungi on amphibians, and those lessons tell us that prevention is the best policy," said Karen Lips, a professor of biology at the University of Maryland, College Park. 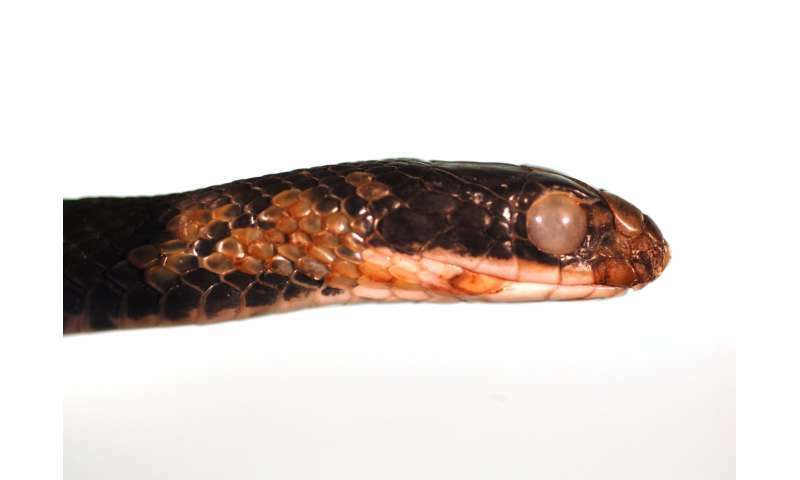 "Researchers need to work with decision makers to prevent snake fungal disease from spreading, survey museums and field sites to determine the current distribution of the disease, run trials in the lab, and start working on treatments."